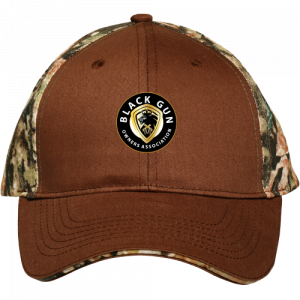 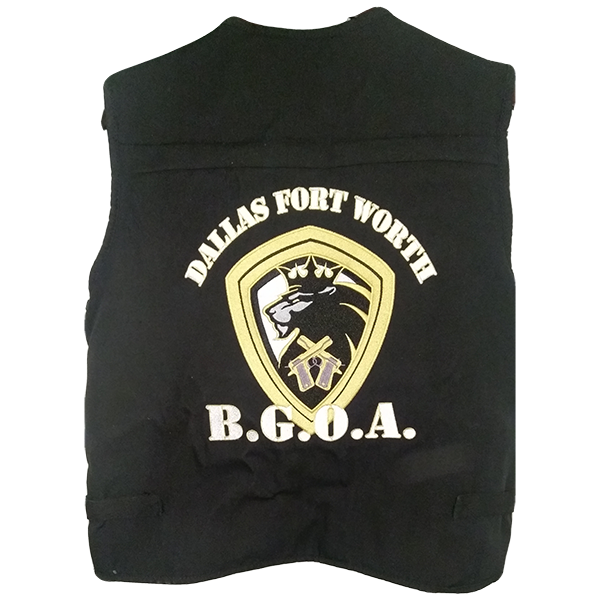 Members only vest comes includes 11″x11″ embroidery of BGOA Lion Logo on back with chapter arched over top. 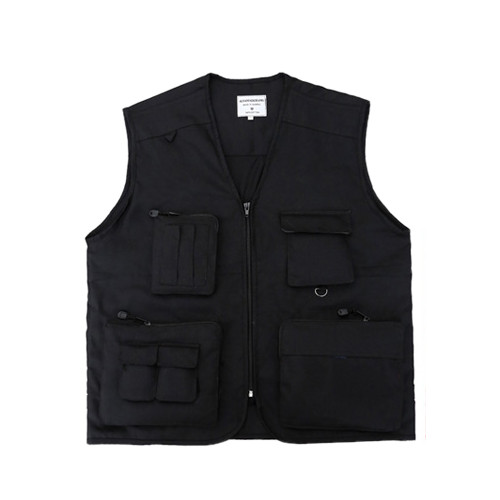 Review size chart before placing order to ensure that the vest will fit. 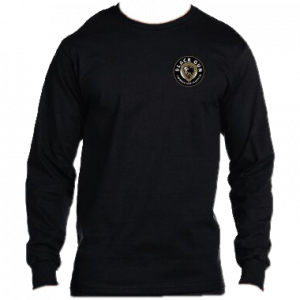 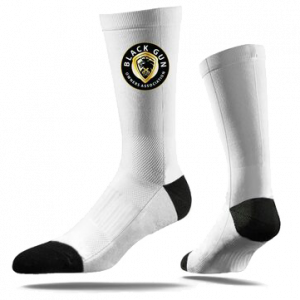 There are no refunds once the embroidery is started. 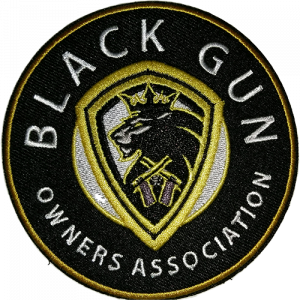 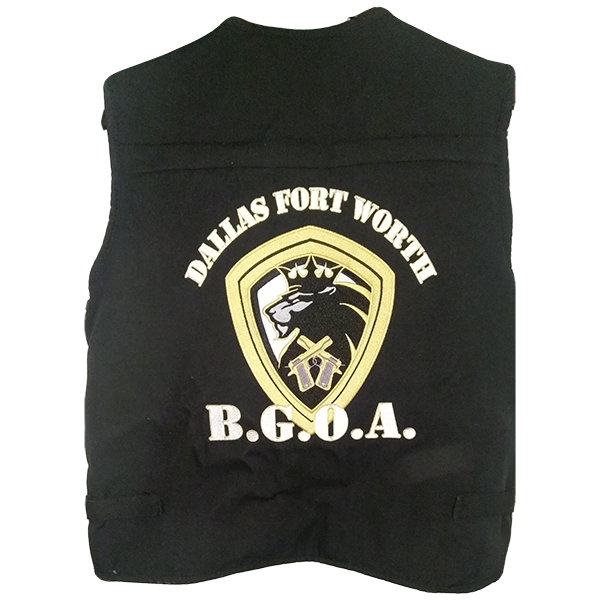 Members only vest includes 11″x11″ embroidery of BGOA Lion Logo on back with your chapter arched over top. 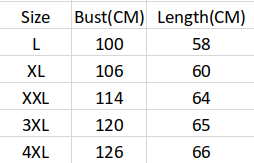 Review size chart before placing order to ensure that the vest will fit. 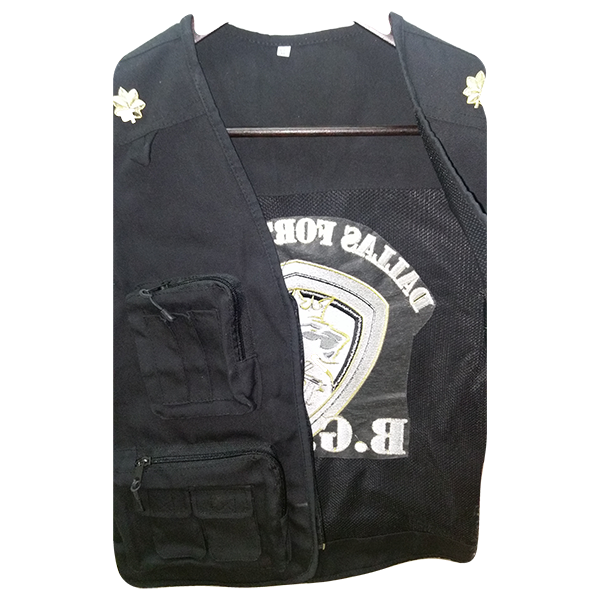 There are no refunds once the embroidery is started.